Top Ten Tuesday is a weekly meme hosted by The Broke and The Bookish, but they’re on hiatus so I came up with my own! I absolutely love a great villain. I often prefer them over heroes because they tend to be more complex and quite frankly, more fun. I’d do a top ten, however I wanted to pick my absolute favorites that I could share without spoilers, so I pared it down to five. I tried to pick villains that were different in their own way – you won’t see boring baddies here. Ah, Astrid. You usually see her paired up with her twin brother Athos, but we all know Astrid is our queen. She’s literally the Queen of White London, a city in which people fight over the remnants of magic and whoever murders their way to the throne rules. Astrid is twisted, evil, awful, and makes your skin crawl, which means I absolutely love her. I feel like you don’t often get female villains who are so incredibly evil but you still root for. Give me a series of books about her murdering her way to the top. I need more! Image courtesy of Goodreads. If you know the original artist, let me know! The Wood is literally a wood in Naomi Novik’s Uprooted, a dark and twisty grown-up fairy tale. The Wood is forever creeping further in our heroine Agnieszka’s world, consuming and corrupting everything in its path. It’s truly filled with horrors, but how do you fight and encroaching force? I absolutely loved everything about this book, particularly the ‘character’ of The Wood. The Lord Ruler is an interesting fellow. He’s the all-powerful ruler of Scadrial, but he didn’t start out that way. Mistborn examines what happens when the prophesied hero becomes the oppressive ruler. I absolutely love this twist on the black and white bad guy, and what defines good and evil is a theme throughout the trilogy. If you’ve read these book, the villain at the top of your hate list is Prince Regal. He’s the worst. THE worst. I really struggle to put into words how awful and horrible he is, which of course means that he’s amazing to read about. Regal ranks higher on my ‘most despised’ list than Geoffrey Baratheon, so you know he’s truly horrible. Mary is a villain that becomes a hero in an unlikely way. Lauren Willig’s Pink Carnation series is a massively underrated historical fiction-meets-romance series. We get to know Mary in the third book in the series – she’s the nasty older sister of the easy to love Letty. Mary becomes the star of the fourth book in the series and it’s absolutely amazing. I haven’t seen two villains get their own love story in romance before and it makes for such a fascinating change of pace. Mary is unapologetically cold, strong, and willful — she’s a far cry from your archetypal romance heroine, and I love her for it. That’s it for this week! 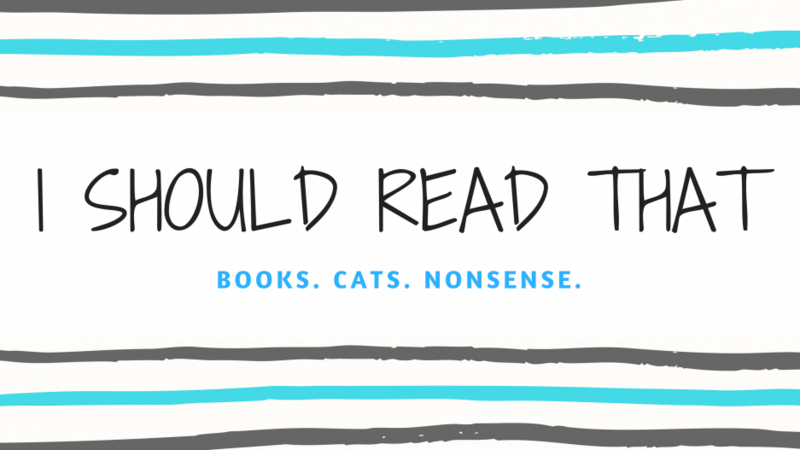 Have you read any of these? Do any of these capture your interest? Who is your favorite villain? Let me know! I’ve seen Uprooted around a lot but I haven’t read it yet… it sounds so magical and exciting!! Definitely like something I would love ❤ Great list! This post is making me more eager to pick up the Shades of Magic series. Maybe I’ll get to it once I finish my Cassandra Clare TBR. Mistborn has so many twists and turns!! I knew that I should expect them from the author, but I was completely blown away. I have been meaning to read ADSOM for a while and the description of Astrid convinced me haha! XD She sounds like a character you would Love to Hate.